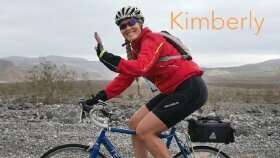 Kimberly has led bicycle tours throughout the country for the past 20 years. 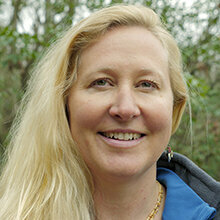 She makes her home in the Blue Ridge Mountains of North Carolina where she runs her own handmade soap company. Her company, Essential Journeys, has its own bicycle jersey -- one of the most beautiful we’ve ever seen. "This was my second tour with Kimberly. I liked the first one so much, I picked one that she would be doing. What an amazing guide. She is a consummate professional and so much fun to be around. Being so calm around so many people asking questions is a feat in itself!"